Ben Callihan of Joplin looks through the Joplin Public Library's selection of art and drawing books Monday evening, Dec. 30, 2013, as he looks for a project for him and his son. Callihan said he bought his son a drawing book for Christmas and through that gift also garnered a love for the art for himself. 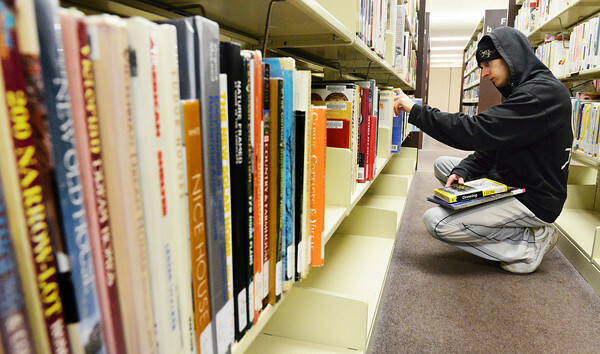 Some library patrons were indoors to keep out of Monday's cooler temperatures.